Established in 2004. 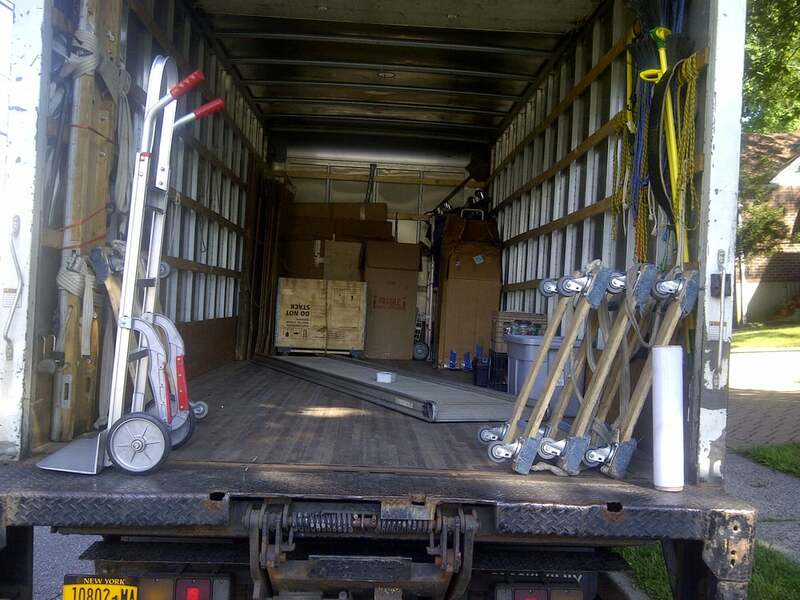 Sanho Moving Company was established in 2004 and is dedicated to high quality residential and business moves. Whether you're moving across town or across the country, we have built up an experienced crew to make your move on time and on budget. Sammy and his crew are the best! 5 years ago I found them on yelp after a horrific moving experience when a company that was recommended to me left my belongings on the street and damaged all of my fragile objects because they tried to hold my belongings hostage and raise their rate when they arrived at my destination. I called Sammy he gave me a quote on the phone which was very reasonable and he did not change the price once there, he and his crew arrived and they did such an amazing job of having me moved and set up in my new apartment within 3 hours. I have been calling them and recommending them ever since. You and personal belongings are truly in good hands with these guys. Best flat rate & value. Items arrived without damage. With this company, you do not need to hear the nonsense of a base rate, then truck rental fee, additional hours charge, labor charge, dismantling fee, blah blah blah. They don't give you a headache and will quickly finish the job. They won't stick around and drag your hours because it is a flat rate service. I didn't have a language barrier as I spoke all the languages they understood. But if you can only communicate with them in English, talk directly with Sam. He understands perfectly. The team is honest and knowledgeable about dismantling the furniture including Ikea. I had 6 piece of items (queen bed, sofa, 2 desk, leaning bookshelf, small pax wardrobe). Took 1 hour from pickup arrival to pickup departure. Then, 1 hour of assembly (arrival to departure). Will be up on my list of go-to companies, if I move within the city again. Prmosied a day... I needed COI for the building... Delay delay delay. No contact and then I email.. day is no longer available. If your building requires any insurance.. look somewhere else and save yourself the trouble. I decided to use this company after receiving endless amounts of quotes from moving companies. This company beat everyone out and gave me the best quote with 3 days before my move. I was a little hesitant to use these guys because the price was so unrealistic, come the day of the move, they were scheduled to arrive at 6pm. I receive a call 15 minutes prior to pick up time, saying they are here and waiting patiently for me to be ready. These guys were beyond fast, while still handling everything carefully. They went beyond anything I expected, the entire move took less than two hours. I highly, highly recommend this company. Super reliable and exceptional service. I wish more companies provided the service these guys do. Kudos, and keep it up!!! 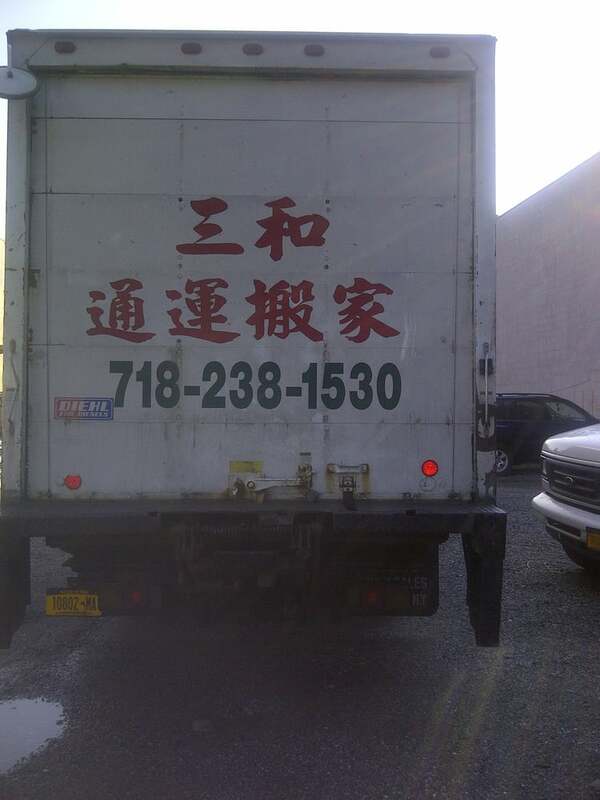 If you thought your ethnic moving company was the ish, go Chinese and I promise it'll be worth your while. 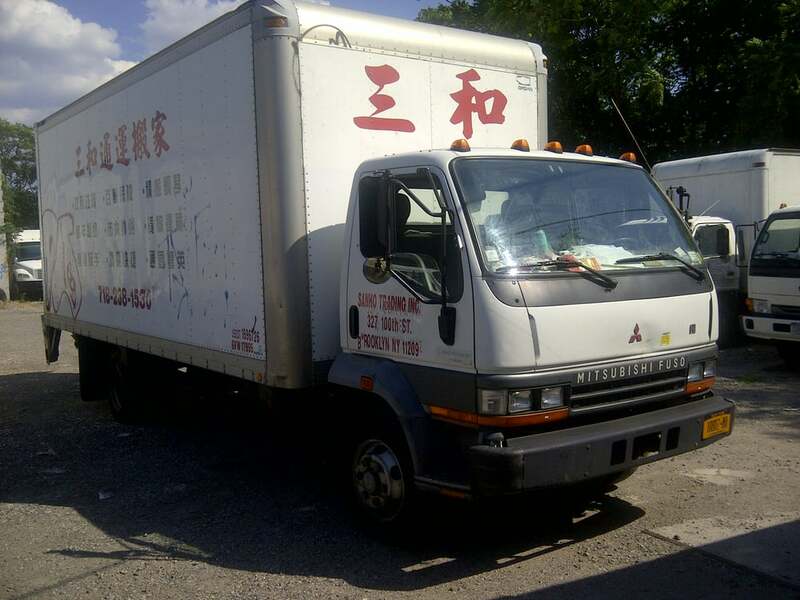 Sanho (ä¸‰å’Œ) is a no nonsense moving company operating out of Brooklyn with the same premise as just about every other Chinese moving company: Do it well, do it fast, and do it now.Only in this city like ours is there such an abundant scene of Chinese movers. There are a lot of undervalued ethnic businesses, but the market here is literally one of a kind. They tend to be listed only in Chinese classifieds or their services are outlined in Chinese publications. If it weren't for the efforts of many, it's likely Sanho wouldn't be listed on Yelp either.Depending on the amount of stuff that needs to be moved, they'll send a small crew and truck that consists of Sam and as many as 3 guys. Sam's English is good, which means Sanho is super gringo friendly. He will likely be the one who answers the phone, makes the arrangements, and collects the money. 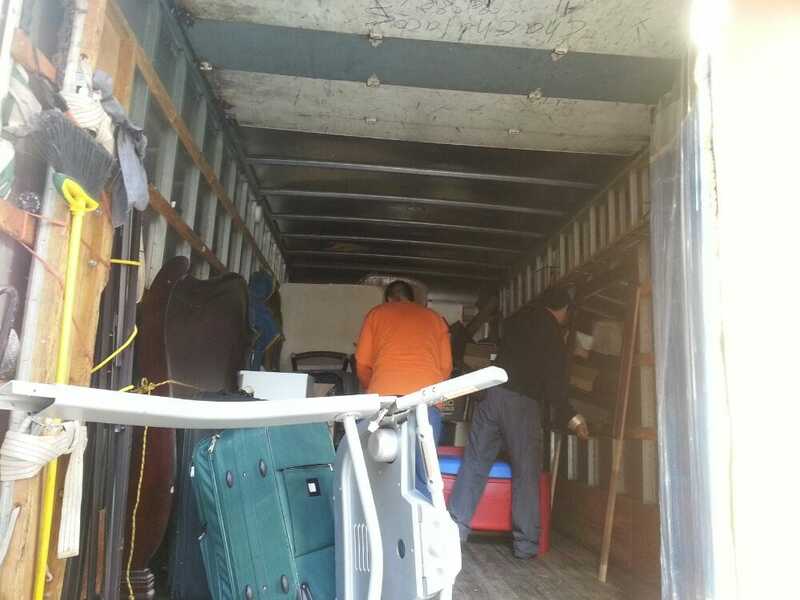 Be prepared to give a realistic breakdown of what kind of move is expected and know what kind of furniture needs to be dismantled prior to any move.The crew works so fast, they managed to clear out a 1 bedroom apartment loaded with stuff (furniture, boxes, bags, etc.) in just a hair under 20 minutes, all while feverishly running back and forth from the truck into the apartment. 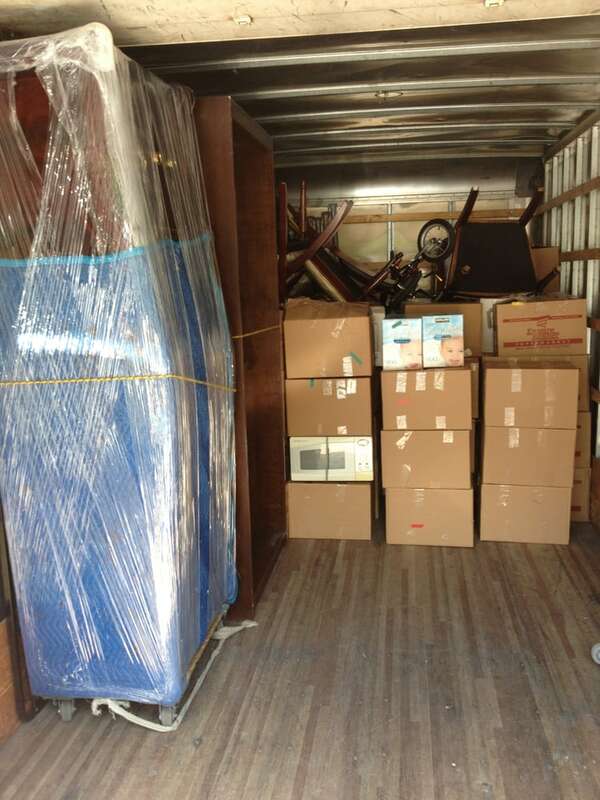 After meeting me at my new place, they were able to unload the stuff, setup some furniture (for a fee), and generally move things where they need to be in under an hour. Some folks might be worried about the abuse of any product with how quickly they go, but I was pretty direct about which things needed cautious handling.Instead of taking their sweet time milking the hours to get more money out of me, they work quickly so they can head to other jobs they have lined up in other parts of NYC. That my friends, is what is called demand. The damage on my end? $300 including tip for 3 hours, two apartments, traffic and wait time. I would happily recommend them for any job in the tri-state.